Chelsea beat Slavia Prague 4-3 in a truly odd game at Stamford Bridge. 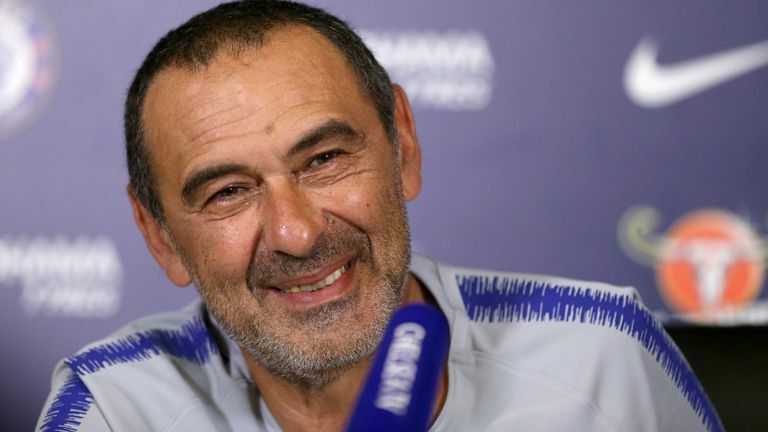 Maurizio Sarri has praised Chelsea's next European opponents Frankfurt after the Blues' win over Slavia Prague in the Quarter Finals, and pointed a warning finger towards their next opposition, the Germans. Look around the various blogs covering tonight's game against Slavia Prague and you'll see one thing in common in all their previews, including ours: Eden Hazard sitting on the bench. According to reports in the Sun today, Gonzalo Higuain's chances of staying at Chelsea long term are dwindling. Fikayo Tomori won the player of the season award for Derby this week, reminding everyone that there is a loan star there doing every bit as well as Mason Mount.